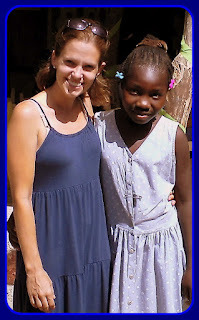 Ginny in Haiti: Quick and Happy Update! It's Mita! She is doing well back with her family and is now a part of our "Kids Today, Adults Tomorrow" program. She had a great time at the School's Out Party last Sunday. Click here and here if you want to read Mita's story.